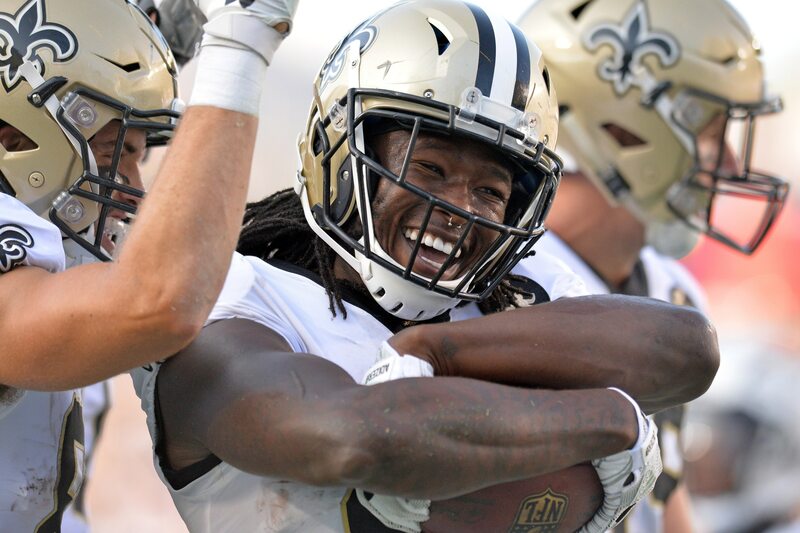 New Orleans Saints running back Alvin Kamara will soon be able to afford whatever jewelry he sees fit. But for now, the reigning NFL Offensive Rookie of the Year is playing for pennies on the dollar in comparison to his elite-level production. Hip-hop artist Curren$y (yeah, that’s a thing) realized this and just gifted Kamara a diamond Rolex. Really. Curren$y wrote “Don’t even trip G, keep puttin that work in for my city bro” on the watch. It might not compare to the $18 million watch Floyd Mayweather bought himself. But it’s a darn nice gift. This came before Kamara put up 116 yards and three touchdowns in a win over the previously undefeated Los Angeles Rams last week.